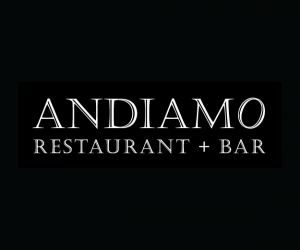 Andiamo is a top notch Italian Restaurant offering the perfect combination of classic yet modern Italian cuisine. 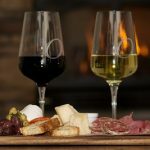 Before you indulge in fresh Italian food start with a creative cocktail or the perfect glass of wine. 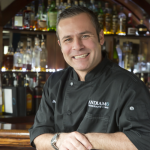 The Andiamo bar team will wow you with the art of mixology and top notch selection of wines and beers. Located in a historic building, Andiamo offers regional Italian food with Mediterranean influence and local flair. Everything is made from scratch including the pastas, the focaccia and the hand stretched mozzarella cheese. The meatballs are a must try made with freshly ground veal, pork, and beef and topped with a caramelized tomato ragu. Other favorites include the pork belly burger, the chicken parmesan, and the butternut squash ravioli in a sage cream sauce with balsamic caviar. 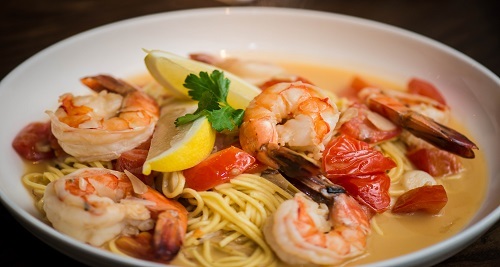 Andiamo is well known beyond Newburyport for its amazing Italian food and is also the place to go if you are looking for upbeat fun atmosphere, live music and dancing. 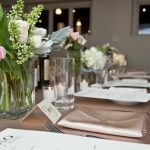 Come let Andiamo exceed your dining expectations and keep in mind that Andiamo is also the perfect spot if you are planning a private function.